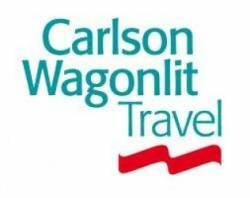 Carlson Wagonlit Travel (CWT) UK has once again demonstrated its continued commitment to responsible business by not only retaining its category A rating with Achilles Verify, an accreditation which evaluates and monitors sustainable procurement in the energy industry, but improving its accreditation score to an average value of 96% across all categories. CWT UK has received the certification, which reduces risk in the supply chain and supports buyer-supplier communities, since 2010. It was retained after rigorous evaluation of CWT UK’s quality, environmental and health and safety management systems, including training, operations, and equipment. This year’s scores are 12 per cent ahead of the industry average score for health and safety assessment, and 14 per cent ahead of the industry average score for environment. CWT can help customers with their sustainability aims in a number of ways, including working with a Total Impact Report, which shows the total cost, CO2 and productivity savings by switching from domestic air to rail travel; a Green Hotel Index, which enables clients to choose a hotel based on its green credentials; management information reports that provide detailed information on the carbon output for each department, traveller, or route, and carbon statements to remind travellers of their individual outputs.